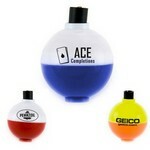 Catch the attention of consumers and fish using a 8 piece Lure Fish Kit imprinted with your company's logo and name. Catch the attention of consumers and fish using a colorful Bobbers Lure imprinted with your company's logo and name. Catch the attention of consumers and fish using a colorful Chariman 22 Karat Gold Lure imprinted with your company's logo and name. Catch the attention of consumers and fish using a colorful Classic Spoon Lure imprinted with your company's logo and name. Catch the attention of consumers and fish using a colorful Living Lure Spoon Lure imprinted with your company's logo and name. Catch the attention of consumers and fish using a colorful Multipurpose Precision Oiler imprinted with your company's logo and name. Catch the attention of consumers and fish using a colorful Shakin Shad Lure imprinted with your company's logo and name. Catch the attention of consumers and fish using a colorful Spinner Bait Lure imprinted with your company's logo and name. 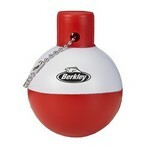 Our customizable fishing bobber floater keyring features a single logo design and floating body.